Living the Life You Love now available on India Subcontinent! Living the Life You Love: The No-Nonsense Guide to Total Transformation by Paula Renaye has won the Gold Medal for Personal Growth/Motivation in the Living Now Book Awards! Diomo Books is proud to be the publisher of Living the Life You Love in the US and providing an important opportunity for those who want to improve their lives. We are especially pleased that this important book has been translated into foreign languages, including Spanish & Chinese. Living the Life You Love is published in Chinese by Mufone Publishing Company of Taiwan. The Spanish translation is by Santillana Publishing Company. Living the Life You Love released in Spanish! Vive la vida que amas! The Spanish translation edition of Living the Life You Love is now available in bookstores across Mexico and will be coming to the US very soon! Living the Life You Love is published in Mexico by Alamah, a division of Santillana Publishing Company, which will publish and distribute the Spanish translation in the US. More details and release dates as soon as I receive them! No hay duda, la vida puede ser dura y todos tenemos que enfrentar problemas fuertes. Pero desear que tu vida sea diferente no es suficiente para lograrlo. Vivir la vida que realmente amas necesita de trabajo deliberado y de búsqueda espiritual para descubrir qué es lo que realmente quieres, por qué no lo tienes y cómo empezar a obtenerlo. La autora Paula Renaye es como una mejor amiga que te abraza con cariño y te dice las cosas como son, aunque resulten incómodas para ti. “¡Déjate de tonterías! Eres fabuloso, puedes lograr lo que quieras.” Este libro será la llamada para despertar que has estado esperando y te mostrará paso a paso, cómo salir del estancamiento en el que estás metido con un lenguaje rudo pero sincero, ¡que funciona! Living the Life You Love now in Chinese! Diomo Books is pleased to announce that Living the Life You Love: The No-Nonsense Guide to Total Transformation by Paula Renaye isnow available in Chinese to readers worldwide! The book is published by Mufone Publishing Company in Taiwan and they are just wonderful people to work with. They have adapted my very informal book trailer video for the Chinese market and it is posted below. We are all very excited about the release of this book and getting these tools and techniques out so even more people can start living the life they love! Please share this information with your friends who prefer to read in Chinese. Purchase the Chinese Translation HERE. 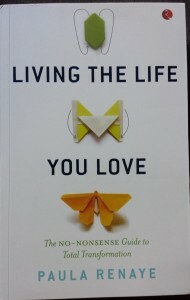 Living the Life You Love Named to Kirkus Reviews’ Best of 2012! 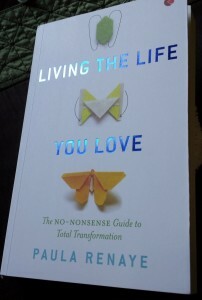 Living the Life You Love: The No-Nonsense Guide to Total Transformation by Paula Renaye was named to Kirkus Reviews’ Best of 2012 today! See it online here! The book was one of only four self-help & how-to books that made the list of the Top 100 Indie Books of 2012! Hot Enough to Kill #1 in Entire Kindle Store 11/28/12! Hot Enough to Kill by award-winning author Paula Boyd was the most downloaded book in the free Kindle store on November 28–that’s the entire Kindle free store! Here’s a screen shot! Nearly 28,000 copies of the ebook were downloaded. If you haven’t joined Jolene and Lucille on a wild romp across Texas, hop over to amazon.com now and download your adventure. These are fun, funny and fast-paced. Read the amazon reviews and get your ebook here! STARRED Review and Critics’ Pick from Kirkus Reviews! Living the Life You Love: The No-Nonsense Guide to Total Transformation by Paula Renaye is now available in neighborhood and online bookstores and the reviews are coming in! A self-help guide with real-world value and applicability, which proves it’s never too late to grow up. Paula Renaye will be signing her new book and making presentations in bookstores in Arkansas, Oklahoma, Colorado and Texas now through the end of November. See the Book Tour schedule here. Read the latest endorsements from a growing list of mental health professionals, health care providers readers and industry reviewers here. Coming soon to neighborhood and online bookstores! Wishing your life were different doesn’t make it so. If you want to live a life that you truly love, it takes deliberate and soul-searching work to figure out what you really want, why you don’t already have it and what you’re honestly willing to do to get it. Like a best friend dispensing more than a little tough love, Renaye wraps a sturdy arm around your shoulders, forces you to look in the mirror and says, “You can do this,” and with a simple, step-by-step process shows you how. Using guided coaching sessions with self-insight techniques and workbook exercises, you’ll discover what’s been holding you back and how to turn those limitations into life-transforming choices. Practical, easy-to-remember strategies help you neutralize button pushers, release guilt and stay on track, even during those “deer in the headlights” moments, while tough-love reminders motivate and hold you accountable. Whether it’s relationship, career, health or other challenges, you’ll find the tools to stop tolerating what you need to change and start living the life you truly love. The Jolene Jackson Mystery Series is now available on Kindle. The first wild ride, Hot Enough to Kill, is available on Kindle now for $0.99 . Find out why readers warn against drinking or eating while reading. Come along for a wild romp across Texas! Read reviews and excerpts from all three books here: http://paulaboyd.com. Hardline Wins 4th Book Award! The Hardline Self Help Handbook has just been named a USA “Best Books 2011″ Finalist Award Winner for Self-Help Motivational! Simon & Schuster, St. Martin’s Press, Random House, Penguin, Harper Collins, Houghton Mifflin Harcourt, McGraw-Hill, John Wiley & Sons and hundreds of Independent Houses contribute to this year’s Outstanding Competition! Hardline is the WINNER of the Global eBook Award for Nonfiction Self Help. Finalists for the Reader’s Choice Awards have just been announced and Hardline is on the list in the Motivational Category! Winners of the 2011 Indie Excellence Book Awards have just been announced and The Hardline Self Help Handbook is a Finalist Award Winner in the Self Help General Category! Visit author pages and blogs!